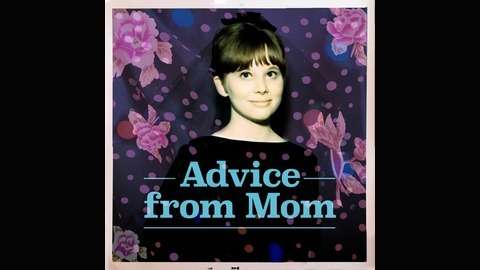 Advice from Mom is a podcast and cross-generational effort to answer life's big questions. 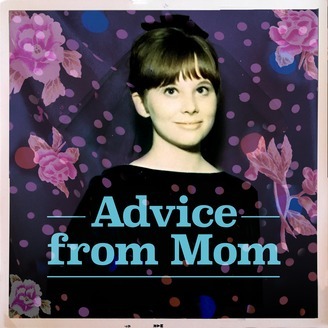 Featured as “new and noteworthy” on Apple Podcasts and included on NPR's The Big Listen, Advice from Mom is an advice-column show hosted by Rebecca Garza-Bortman featuring listener letters and the advice and stories of her mother, Elizabeth Skibinski-Bortman, PhD. Affectionately known on the show as “Momma B”, Dr. Bortman is a small-town family therapist “on a one-woman mission to mother a mentally healthy world.” Each episode, this mother-daughter duo explores questions sent in by their listeners with the help of a series of guest experts. They have recorded advice with actress & SNL alum, Michaela Watkins; artist and graphic journalist, Wendy MacNaughton; and NPR's The Kitchen Sisters, as well as crisis counselors, authors, and wise creative professionals of all sorts. This podcast is founded on the belief that we need our mothers like we never have before. Not just our own mothers, but the mothers of the world. Anyone can submit a question at www.advicefrom.mom/request. How do we say goodbye in the grandest of ways? We voyage to a land of flashbacks, jinglecrafts and one of our shamefully-favorite childhood TV shows. Let's just say we'll all be Saved by The Good Advice. With the help of a special guest, our producer & editor, Juliet Hinely, we’ve made you a super nostalgic thank you note, so you’ll never forget us! Our episode references in this show: Peach Christ in “Ep 27: Peaches Christ & Veruca Bathsalts—mothering a cultural scene” https://soundcloud.com/advicefrommom/ep-27-peaches-christ Eve R. Meyer in “Ep 10: Family Dynamics” https://soundcloud.com/advicefrommom/episode-10-family-dynamics-season-1-finale Emily Chang in “Ep 26: Emily Chang with her mother, Sandy—breaking up the boys club” https://soundcloud.com/advicefrommom/ep-26-emily-chang Esther Perel in “Ep 14: Heart Left Hanging with Esther Perel” https://soundcloud.com/advicefrommom/episode-14-heart-left-hanging-with-esther-perel Kitchen Sisters in “Ep 8: Making Progress” https://soundcloud.com/advicefrommom/episode-8-making-progress Dianna L. Ploof, EdD in “Ep 6: Wise Moms of Pittsburgh” https://soundcloud.com/advicefrommom/episode-6-wise-moms-of-pittsburgh Dr. Sue Johnson in “Ep 38: Frustrated Sugar Mama with Dr. Sue Johnson” https://soundcloud.com/advicefrommom/ep-38-frustrated-sugar-mama-with-dr-sue-johnson Michaela Watkins in “Ep 9: The Long Haul” https://soundcloud.com/advicefrommom/episode-9-the-long-haul Ruth Pointer in “Ep 21: Boss & Daughter with Ruth Pointer of The Pointer Sisters” https://soundcloud.com/advicefrommom/ep-21-boss-daughter-with-ruth-pointer Anna Sale in “Ep 31: Looking to Plant with Anna Sale” https://soundcloud.com/advicefrommom/ep-31-looking-to-plant-with-anna-sale Negin Farsad in “Ep 32: Self-Care Sammiches with Lizz Winstead & Negin Farsad” https://soundcloud.com/advicefrommom/ep-32-self-care-sammiches Dolores Huerta in “Ep 28: Dolores Huerta & Camila Chávez—mothering social action” https://soundcloud.com/advicefrommom/ep-28-dolores-huerta-camila-chavezmothering-social-action Other things to make you laugh: Zack Morris is Trash: https://www.youtube.com/playlist?list=PLRcB4n4CGcy_r21EedmNUOyVP_puToBfr Learn some Pittsburghese: https://www.wesa.fm/post/redd-your-pittsburghese-deep-dive-how-yinz-talk If you miss us: Juliet Hinely on Twitter: https://twitter.com/juliethinely Contact Mom & Becky (not the duck): http://www.advicefrom.mom/contact Advice from Mom is a production of Wise Ones Advice Services. It was produced by Juliet Hinely & Rebecca Garza-Bortman. Editing and Sound Design by Juliet Hinely. Mixed and mastered by Jake Young. Audio assistance by Bryan Garza. Our theme music is by Love Jerks: www.lovejerks.com/ Thanks to Juliet for not only being the best guest we’ve ever had on the show but also for her tireless work on this entire series. Thank you for being such an amazing partner in creating this show. What a journey it has been! Thanks for taking a chance on me! A special thanks to Jocelyn Frank for connecting me with Juliet. Be sure to check out Jocelyn’s Sound Scene exhibition at the Hirschorn Museum in Washington DC next summer. This show would not have been possible without the generous loving support of our friends and loved ones… our husbands, Jerome, Bryan, and Narooz. Our friends: Carla, Carrie, Jean, Julie, Lori, Mary Beth, Mike, Paula, Mary Lynn, Diana, Diane, Lani, Geraldine, Millie, Zak, Stephanie, Marianne, Samaland, Lisa, Sissi, Annie B, Aviva, Sydney, Kate, Emily, Michael, Sadia, Avery, Reba, Serena, Ginny, Jane, Blair, Natalie, Elliot, Amy, Ali, and I’d also like to send hugs out to my sisters of assorted varieties: Laura, Cheryl, Sylvia, and Heather. This podcast is for informational purposes only and is not intended to offer diagnosis or treatment of any medical or psychological condition. All treatment decisions should be made in partnership with your health professional. Ep 36: Poetry Corner: "Children Learn What They Live"